It shouldn’t be too surprising to bump into celebrities here and there in Midtown Manhattan. Just last week rapper J. Cole was hanging around near the area’s Footaction store. Some people even came from as far as New Jersey to get a glimpse of the star. One fan even referred to him as “relatable,” saying that he “connects with his fans,” and greets them. Many others do not. Cole was in the area for the concert he played at Irving Plaza. For those who want to try to get a glimpse of celebrities on a regular basis in Midtown Manhattan, The Polo Bar – owned by Ralph Lauren –could be the place to go. It appears that Christie Brinkley amongst others has been spotted there. 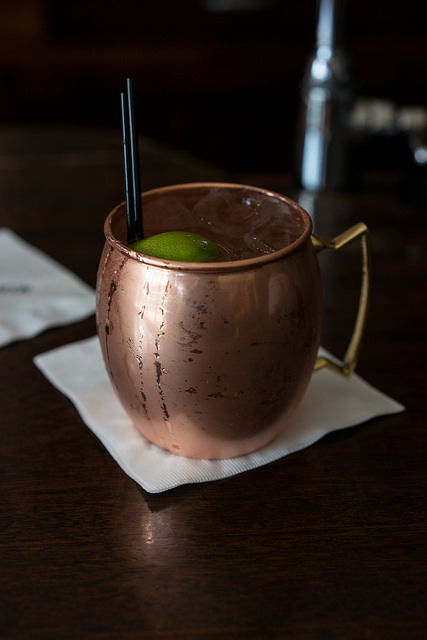 Enjoy a relaxing sip of a Moscow Mule with your roast chicken, smoothed mashed potatoes and head of garlic.